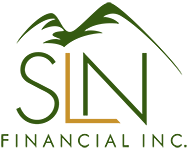 3 Myths About Life Insurance You Need to Know | SLN Financial, Inc.
With all its intricacies and technicalities, life insurance can be tough to figure out. Knowing these three myths can make your pathway to coverage easier to understand. Myth #1: I should always buy term insurance and invest the difference. The cost of term life coverage can become extremely high in your later years. That means if you know for sure you or a loved one must be covered at death; then permanent coverage is most likely best. Not to mention, the total premiums for a permanent policy might even be less than the ongoing premiums in a term policy. Myth #2: I’m better off investing my money than buying a life policy. You take a huge risk when you depend solely on your investments – especially if you have dependents. If you were to die younger than expected and still didn’t have life coverage for them, there might be no other means of provision after your current assets deplete. And don’t forget, your market assets aren’t protected in the case of a crash. Myth #3: My premium costs will be deductible. In most cases, this isn’t true. Personal life insurance costs will not be tax-deductible unless you’re self-employed and the coverage is deemed an asset protection for you as the business owner. Find out which type of life insurance is right for you and your family by calling us.